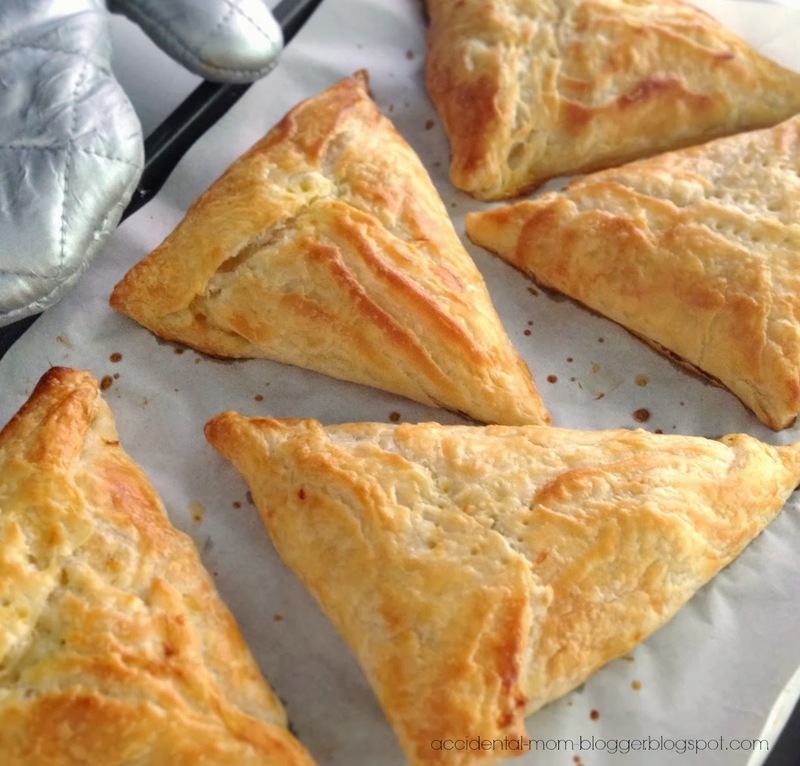 I've been meaning to try making chicken pie for the longest time. 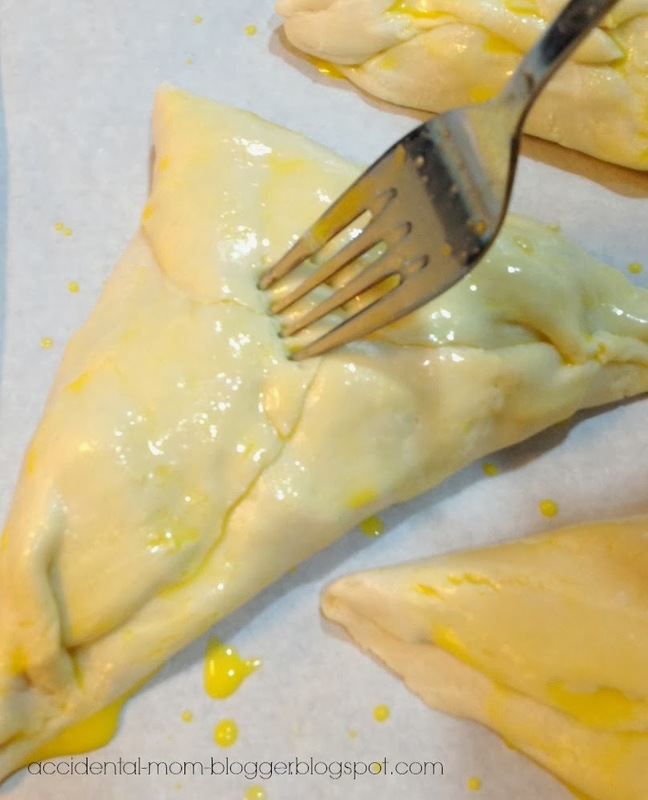 (uh-huh, other priorities often get in the way) Somehow, the thought of buying frozen puff pastry available at a not-so-nearby store melting away on it's way home petrifies me. (this, apart from house lizards) Which would mean handling it would be a problem. So my experiment for this was shelved time and again. Ya, this went on for a year! I was re-inspired to try making it after looking at Diana's easy chicken pie recipe. And the thought of using frozen prata as it's base came through (ya lah I know, a bit slow). Since I had some leftover roast chicken breast meat and frozen pratas are easily available at a supermarket within the estate I live in, I went for it! 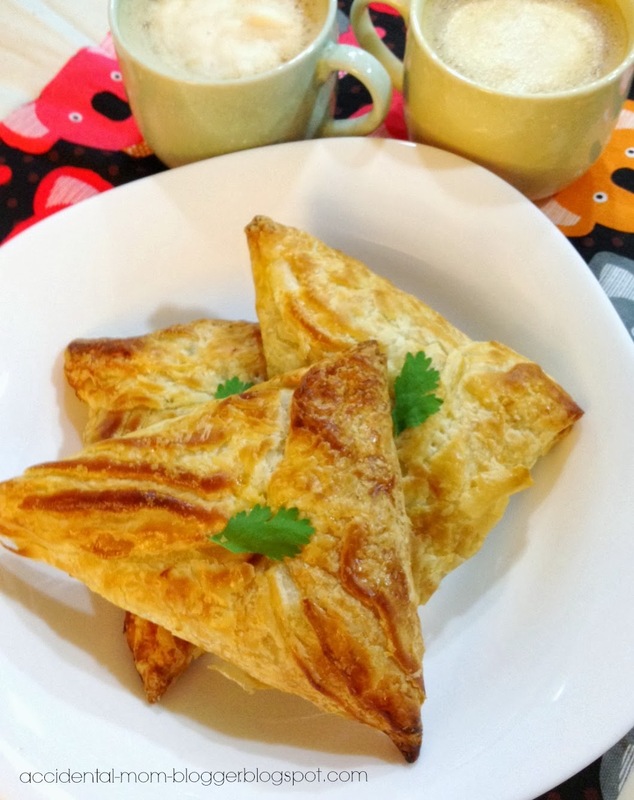 And then I wondered again, if the frozen prata is similar to puff pastry as I was convinced that it turned out as good as most puff pastries you can get in stores! Here's how it turned out, adapting to Diana's recipe for the filling. - 1 portion chicken breast meat, diced. - 1 medium sized potato, diced. - 1/2 cup frozen sweet corn. - 1 medium sized onion, chopped finely. Fry ingredients together for about 5 minutes. Add stock and water, let it simmer till potato is soft. When it's almost done, add the corn starch and give it a good mix. The dish should be starchy enough, and not too wet. Thaw the frozen prata pastry till its fairly soft. If it's too soft, handling it will be a problem. There were 5 pieces in my packet so I used up all. Fill the centre of the prata with the cooked fillings. 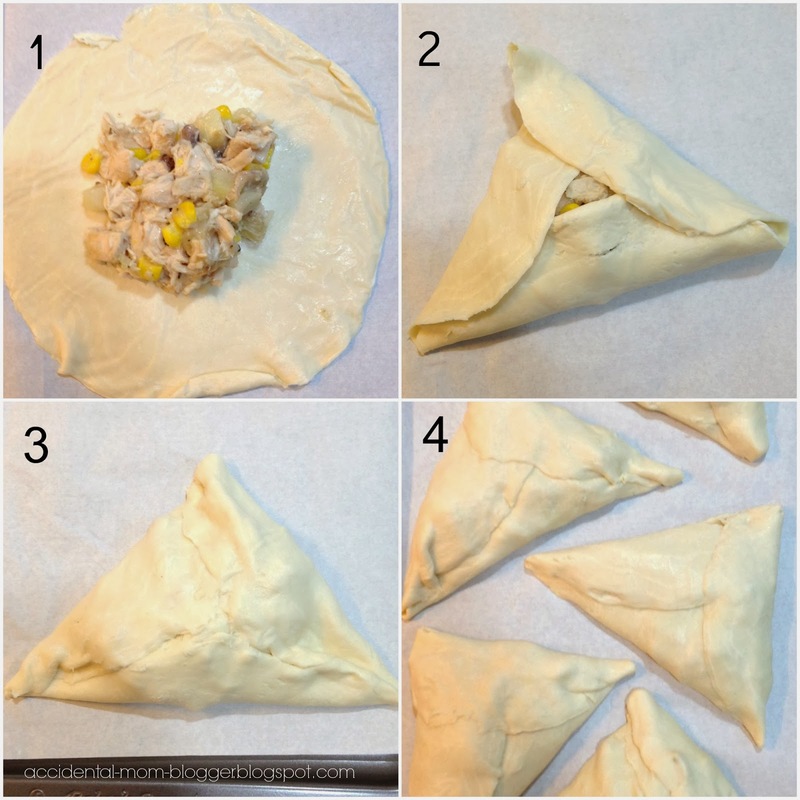 Fold it up into triangular shape and pinch the edges to seal it. Do the same for the rest. Apply egg wash on the top and poke a few holes. Purpose is to let the steam inside escape when its baking. Bake for 10-12 minutes, or till golden brown. Clever!! Aden loves prata. Maybe I can get him to eat more meat by doing this! !